For a hard-working marketer, what would the holiday season be without predictions about trends in ad transparency, generational targeting and blockchain? Too dreary to even contemplate! 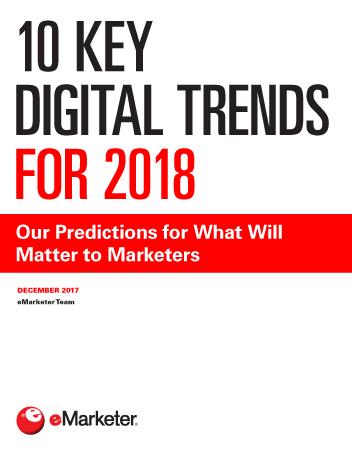 So, we present our predictions about these and other digital developments that will matter to marketers in 2018. "True, the pace of change is quicker in the digital age than in prior eras. But a lot of important change is still more incremental than overnight. For instance, it took half a decade after the introduction of the iPhone before even half the US adult population had smartphones." Our Predictions from Last Year: How Did We Do?